Every step of the way had a very helpful person assisting us in obtaining the exact product we wanted, designed to our specifications, with helpful advice and guidance. What an awesome shopping experience that took the stress out of finding the perfect wedding invitations. Thanks so much to your great team!!! I just wanted to let you know that we received our invitations (awhile ago) and we LOVE them - we're just getting started with addressing them. (...) once again, thank you for the great job on our invites!!! The All-in-One idea is fantastic! 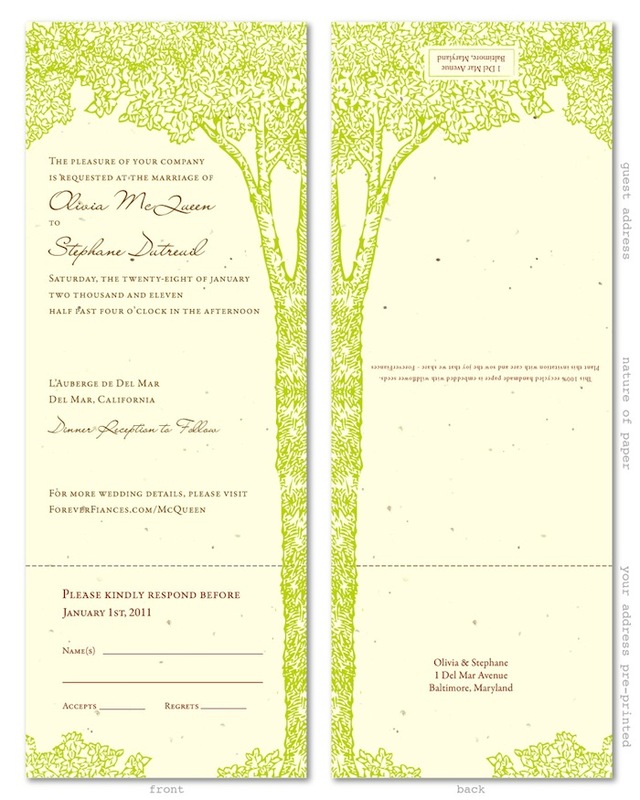 I have never seen invitations like these and had to order them. They are so unique and I like the fact they fold into a postcard for mailing, how clever!